Starting a business in Japan can be an exciting (and potentially profitable) endeavor. However, it can also be exhausting and confusing, especially with the recent changes in Japanese regulations. Here at Shiodome Partners Group, we understand the special needs and circumstances that international investors face. As one of the most trusted providers of business and incorporation services in Tokyo, international clients have come to rely on our expertise to guide them through the incorporation process. Choosing to incorporate your company as a Kabushiki Kaisha (KK) or Godo Kaisha (GK) will depend on many factors. In order to select the right company classification for you, it is important to truly understand the advantages and drawbacks of each type of business entity. The KK is the Japanese designation for corporation, which is the most commonly recognized and respected type of business entity in Japan. It can trade shares in the open market to raise capital, endow shareholders with limited liability, and is regarded with the most credibility when compared to other types of companies. However, KKs require higher fees and must meet stricter legal requirements before it can be established. The GK is the Japanese term for Limited Liability Company, which is a relatively new type of business entity. 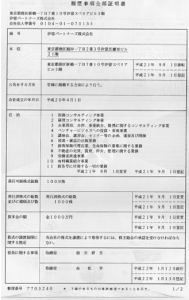 Included in Japan’s legal code in 2006, GKs are less expensive to register than KKs and have fewer requirements for incorporation. Like the KK, the GK offers limited liability protection to its owners and partners. However, GKs cannot sell shares on the open market to raise capital, and are not viewed with the same credibility as KKs. For this reason, many investors may prefer to file as a KK to safeguard their company’s reputation, which is critical for attracting and establishing new business relationships. 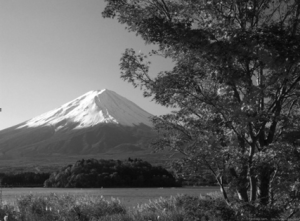 We have extensive experience advising and assisting international corporations with their expansion plans in Japan. In addition, we can prepare foreign investors for the responsibilities and benefits that come with establishing a branch or subsidiary in Japan, so they can assess their development plans with clarity. 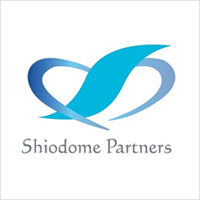 Shiodome Partners Group offers expert level English and Chinese language support for English and Chinese speaking clients. Most Japanese banks conduct business only in Japanese, which can be frustrating for many international clients. In addition, most banks still require the presence of a resident representative before accepting a bank account application. We can take care of the language barrier and provide a temporary resident representative so your company can acquire the necessary banking services and commence operations as soon as possible. Obtaining legal resident status in Japan can be a complicated and stressful process for many expatriate clients. Our visa specialists will navigate the visa proceedings on your behalf, so you can keep your focus on running your company, where it belongs. Though Japanese law has been amended to allow the incorporation of foreign businesses without a Nominee or Resident Representative Director, most banking, business, and legal entities still require it when dealing with international companies. This means that most banks won’t accept account applications and most landlords won’t lease office space unless your company has a Nominee Director negotiating and communicating on your behalf. For your convenience, we provide temporary Nominee Directors that are fully qualified to handle the incorporation responsibilities while you wait to establish your residency status. To complete the incorporation of your company, you must have an address for your head office, which will be used for registration. For this purpose, we can provide a temporary virtual office to avoid any delays in the set up process. We provide pragmatic business and legal solutions that control operational costs without sacrificing value, skill, or expertise. With our support, you can avoid expensive errors and miscalculations while staying compliant to Japanese regulations at your best advantage. Some businesses may require a specific license in order to operate. Our in-house administrative scriveners can advise and assist you in acquiring any necessary licenses, to eliminate any unnecessary delays in operation. 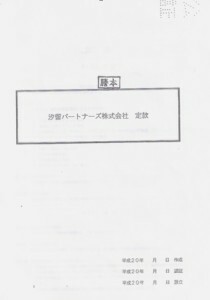 Changes can be made to the Articles of Incorporation and Corporate Register, but only qualified judicial scriveners are authorized to do so under Japanese law. Shiodome Partners Group can provide an experienced judicial scrivener at your convenience, to ensure your company’s continued compliance with local statutes. If you are planning on setting up your company in Japan, Shiodome Partners Group can help. To learn more about our comprehensive Incorporation services, schedule your free initial consultation today by contacting us at inquiry@shiodome.co.jp, submitting a Contact Request Form, or by calling our Tokyo office at 03-6228-5505 (+81) during regular business hours.